Who should I buy a hot tub from? We talk a lot about hot tub manufacturers. And with good reason. Who builds your hot tub, and how they build it is very important. But equally as important, if not more important, is the company you buy it from. Of course, you’ll want to spend your money with someone that you like. But you also need to trust that if anything goes wrong after the sale, because no matter how good your hot tub is it can, that the company you’ve bought from has the skill and willingness to fix it. Who are the best hot tub suppliers in Scotland? There are many hot tub suppliers in Scotland. Selling a variety of different hot tub manufacturers. 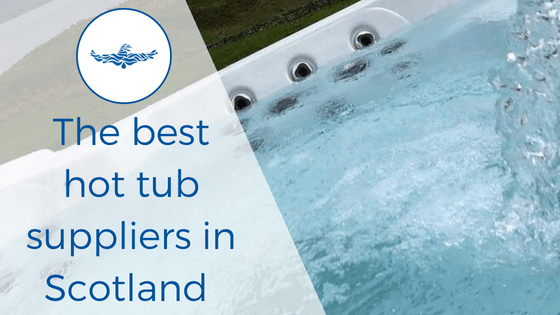 We’re going to look at who we consider to be the best hot tub suppliers in Scotland. We’re not going to include ourselves, because, of course, that would be biased. And we haven’t included any companies out with Scotland. Even though there are many hot tub suppliers across the UK that ship nationwide. This is our personal review, based on our experience and expertise. It takes into consideration what we believe to be two of the most important aspects when buying a hot tub. The supplier themselves. And the the hot tubs that they sell. It’s who we would go to if we were to buy a hot tub from someone else. Grizzly Bear are located in Carnoustie, Scotland and supply hot tubs all over mainland Scotland. They have partnered primarily with Master Spas. And they also manufacture a range in partnership with Watkins (the same company that makes Hot Spring hot tubs). Both makes of hot tubs are still manufactured in the USA. And Master Spas has the seal of approval from Chris Wheatley of Hot Tub University. Grizzly Bear hot tubs has been around for over 10 years and they have a full team of service engineers to help with any after sales issues. As well as providing a great variety of quality American made hot tubs, with strong customer reviews. Grizzly Bear also has some excellent Facebook reviews. A “non-pushy” sales approach was mentioned in a couple of them. This is something that is important to us as suppliers and as customers. The last thing anyone wants is to be hounded with sales calls, emails and flyers after getting in contact with a company. So we feel much more secure in recommending them knowing that you can find out all the information you need in a non-pressured environment. But our absolute favourite thing about Grizzly Bear hot tubs (if we had to choose just one), is something that we think really enhances your experience as a customer. Online pricing. All their hot tubs are fully priced online so you know they range from £4495 to £9995. And you can even apply for finance or put down a £95 deposit on your hot tub of choice. You can see exactly how much your hot tub is going to cost, and what is included in that cost. Making it easier for you to make an informed decision on the prefect hot tub for you. The one thing we do think that Grizzly Bear Spas might be missing is the showstopper. All their spas are good, and well built. But their top end is £9995. So, if you are looking for something out of this world that is completely different from anything else on the market you may struggle.. But, for the majority of buyers, Grizzly Bear will have something that will suit your needs and budget nicely. No prize for guessing which make of hot tub, Hot spring Central supply. Hot Spring Central are Scotland’s supplier of Hot Spring and Watkins manufactured hot tubs. Hot Spring hot tubs made it to our recommended list of manufacturers. They were first manufactured in 1977 and are still the number one selling brand across the world – so that’s go to count for something. Hot Spring central have three locations across Scotland: Tillicoultry; Edinburgh Dobbies and Edinburgh Fort Kinnaird. They deliver and install hot tubs across all of mainland Scotland. And they have their own service team to carry out installation after sale servicing and warranty claims. Their website, admittedly isn’t the easiest to navigate with the side bar that pops out. But, they do have each of their available models on display as well as pricing. Which, as you already know, we really appreciate on a website. Their models range from £3895 – £21,695. So you can browse their website and figure our what models suit your needs and budget before popping in to see them in person. Want to know what four things we think are absolutely essential to know before you make the big hot tub purchase? 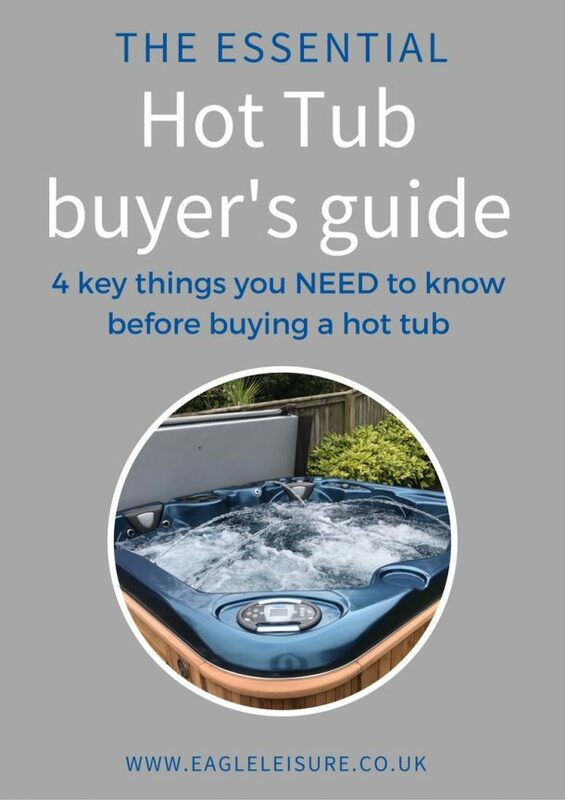 Download our FREE hot tub buyer's guide for hints and tips on what to look for. Thanks for downloading. Check your inbox for your free hot tub buyer's guide. TLC Spas are the new kids on the hot tub block. But they are already proving themselves more than capable against the long-standing hot tub suppliers of Scotland. They’ve been running The Landscaping Centre (TLC) since 2005. And have recently branched out to offer the complementary service of portable hot tubs. TLC Spas haven’t wasted any time and have partnered with the amazing Artesian Spas, another favourite of Chris Wheatley from Hot Tub University and ours :). They supply hot tubs to Oban and the surrounding areas. And they’ve got a service team on to take care of installation, as well as any after sales or warranty issues. Their Facebook page is new, but they are already racking up some 5 star reviews. And we can personally recommend them. A couple of months ago we had some stocking issues and didn’t have anything within the UK for a customer who was looking for a hot tub ASAP. We knew that Artesian had some suitable models available and passed the customer onto the team at TLC Spas. Within a couple of days they had delivered a suitable model. And we’ve had some excellent feedback since from that customers. A lovey, helpful and skilled team, selling one of the best hot tub manufacturers available. They get our vote. There are lots of manufacturers and suppliers popping up and closing down in Scotland. So it can be hard to know where to turn if you are in the market for a new hot tub. This list might not be definitive. But It is where we would start. And where we would spend our money if we weren’t here. The best way to decide who is right for you to buy from is by going in to visit. Get to know them. And get to know the hot tubs that they sell.